The previous three newsletters featured accounts of a cruise to Alaska on the Crown Princess, including visits to Juneau, Skagway, Ketchikan and Glacier Bay. If one looks at the history of Alaska's development, it's amazing the transformation the land and its people have undergone over the past century. You may have seen the article on Gudrun Hurja, "The Little Sweetheart of the Yukon." Exactly one hundred years ago this summer, her husband Emil, like Guddie a relative by marriage, spent the summer visiting settlements all over Alaska and writing detailed reports for the Business Chronicle of Seattle. For any of you interested in learning more about Alaska's history, here follows a brief summary of his observations. Compared with today, people's knowledge of events in Alaska in the early twentieth Century was sketchy. One of the main reasons was the difficulty involved in communicating between the Far North and the Lower 48. In an age when the Marconi wireless had only recently been introduced and did not yet cover large sections of the globe, news from the outside world reached Alaskans via a telegraphic cable running 1,500 miles underwater and another 1,200 miles overland from Juneau to Seattle. An additional 2,000 miles of lines connected towns in the inner reaches of the Territory. The U.S. Army controlled the Washington-Alaska Military Cable and Transfer System, charging twenty cents a word for messages sent. Owing to high costs, news to and from the outside world arrived in short, sketchy form. Journalists took these tidbits and extrapolated feature stories, using their knowledge of the general trend of events to provide missing details. Every fact, every bit of fragmentary data disgorged at the telegraph office served as a clue to solving a larger puzzle. Of this frontier improvisation, one historian wrote, "remarkable accuracy was obtained considering the method used." "In 1916, I desired to select someone to make an 8,000-mile tour of Alaska, to visit all the mining camps and other settlements and write the facts concerning conditions there, after a careful study and thorough investigation. For this task, I selected Mr. Hurja. He contributed a series of 15 special articles treating with Alaskan industries, finance, transportation, business and mining conditions. As he was far away from here, in the Interior of Alaska out of reach of this office, his work of necessity was done in accordance with his own judgment. I possessed such confidence in Mr. Hurjas ability that I did not hesitate to publish his articles with the whole standing of the Business Chronicle behind them. 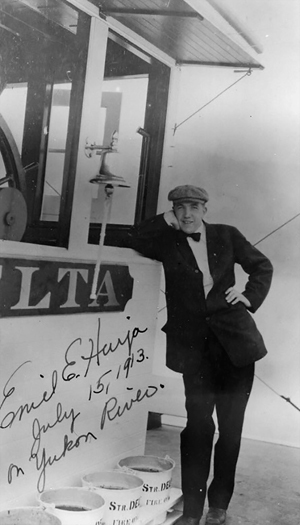 Articles written by Emil for Selvin included individual pieces on the towns of Juneau, Treadwell, Wrangell, Ketchikan, Cordova, Douglas, Valdez, Skagway, Seward, Anchorage and Fairbanks. He also produced analyses of Alaska's need for railroads, the building of government towns, the patenting of town sites and the desirability of home agency fire insurance. Altogether, his articles painted a broad and comprehensive picture of Alaska's economy in 1916. Here follows what he had to say about Juneau, Skagway and Ketchikan. 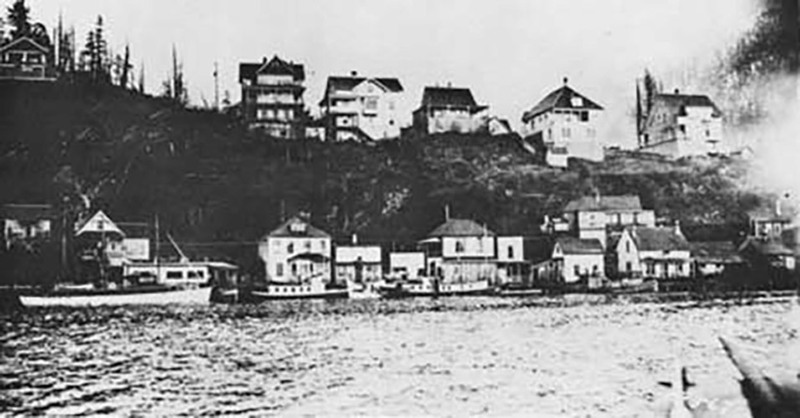 About Juneau, Emil noted that by 1916, the town's days as a boom town with over-inflated values had ended and added, "the consolidation of big mining properties seems to be the order of the day. The city's hopes for renewed prosperity of a new, more solid kind, depended on increased big-scale mining activity of the sort being carried on at nearby Treadwell by the Alaska-Gastineau Mining Company." Emil identified three trends in local mining operations:1) companies being developed by organized plans; 2) other companies in the throws of financial adjustment; and 3) remaining companies still engaged wholely and solely in the prospecting of their holdings. 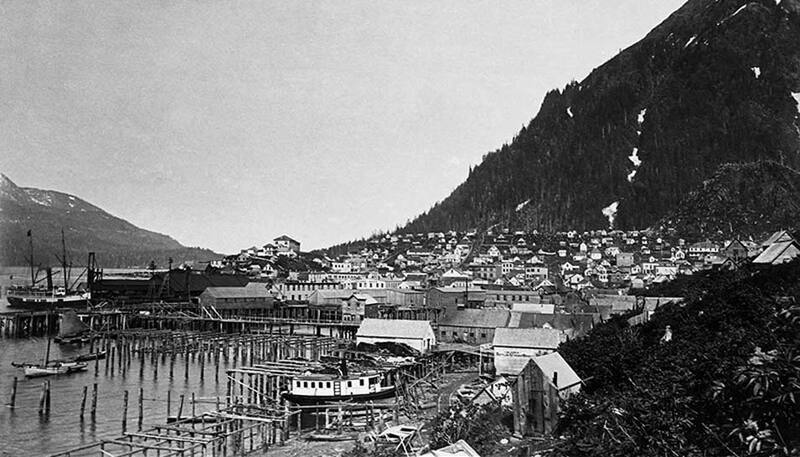 As the center of government for the Territory and home to prosperous mines, Juneau served as the main congregating point for Alaska's large transient working population. Thanks to the construction of new canneries and increased wartime demand for copper, Emil observed, Ketchikan enjoyed robust economic fortunes. In this city, according to him, "there has been no influx of people, other than normal growth. The town has never experienced a boom as there has been nothing to warrant one." "Finding financial interests willing to invest in the town's future poses difficult challenges," he explained, "because of the credulous attitude of outside capitalists. The early wildcatting of mining properties has been chiefly responsible for this attitude." 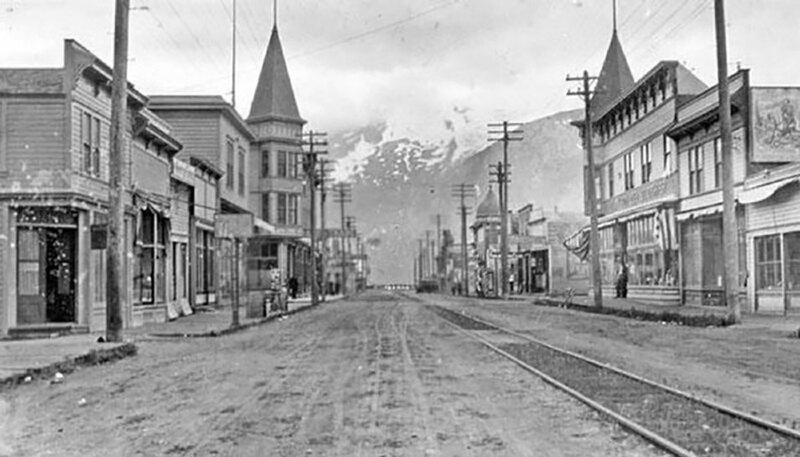 Emil commented that the citizens of Skagway showed far more evidence of a spirit of optimism in the summer of 1916 than they had in 1914 when he last visited the city. Tourism flourished, thanks in part to the natural wonders of nearby Glacier Bay, while shipments over the railroad line to and from Whitehorse had multiplied. The opening of a new Bank of Alaska branch, meanwhile, had brought back into circulation a great deal of money that would otherwise have been hoarded under people's beds and floorboards. Overall, in Emil's view, the building of roads and railroads and the resultant solution to Alaska's pressing transportation problem represented the greatest challenge to securing the Territory's permanent prosperity. Coal for fuel could not be moved, new mining properties could not be profitably developed, the cost of the simple necessities of life could not be reduced to reasonable levels until the Alaska Engineering Commission completed its task of building up Alaska's transportation infrastructure. The AEC expected to keep 5,000 men working on transportation projects over the next three years. According to Emil, private interests in the past had done a terrible job trying to build a railroad in Alaska, proving themselves incapable of overcoming adverse conditions and raising sufficient capital. As a result, he claimed, Alaskans strongly supported the federal government's ownership and control of the territory's transportation system. Alaskans have long been known for their out-sized pride in their rugged frontier individualism. Their views a century ago reflected that ethos, as well as a "love/hate" relationship with the federal government and "outsiders." On the one hand, they frequently complained about government bureaucrats from Washington, DC interfering in their internal affairs. On the other hand, they gladly accepted federal control and funding of basic infrastructure needs such as railroads and highways when it suited their purposes. Owing to a complex intermingling over the past century of individual initiative and federal investment, Alaska ranks today as a premier cruise destination. As described by Emil Hurja, one hundred years ago, the process had barely begun.